Whether you pedal, paddle or hike, the watering hole at the end of a long day exploring North Tahoe is the incentive that pushes many recreationists through that last mile. For adventure-seekers in search of the the perfect pairing of singletrack and suds or paddling and pints can look no further than the North Lake Tahoe Ale Trail. This award-winning, interactive map and video series is the ultimate resource for finding a frosty brew and outdoor adventure. In North Tahoe, no matter which of the six mountain towns you find yourself exploring, there’s a world-class brewery, bar and/or restaurant near your chosen trailhead. This means you can start your day working up a sweat and end it with regionally-crafted refreshments. Some of which are even made with fresh snowmelt from Lake Tahoe! Take advantage of local trail and beer-drinking expertise by watching the videos below and using the interactive map at the bottom of this page. Detailed information about the hiking, biking and paddling trails and neighboring watering holes can be discovered by hovering over the icons. The only thing you have left to do is hit the open road and embark on a unique North Tahoe adventure. Lastly, don’t forget to tag #TahoeNorth and #TahoeAleTrail on Instagram and Facebook to bring us along on the journey. North Lake Tahoe’s paved roads offer exciting views of the shimmering lake and long, leisurely stretches of smooth terrain. 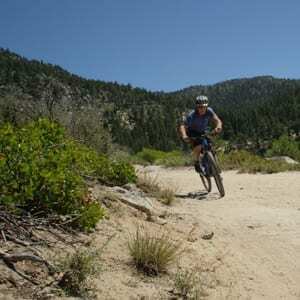 This makes the region perfect for road biking, and the selection of paths offered by Tahoe means that cyclists of all fitness level can enjoy themselves whether they want a challenge or an easy stroll. Achieve balance and coast proudly along the crown jewel of the Sierra while standing upon a paddleboard. What you’ll need for this human-powered lake-traversing experience is a paddleboard, a friend, and a well-honed sense of balance. Follow the Lake Tahoe Water Trail and take out at the end of a lakeside Ale Trail stop. Be sure to always wear a life jacket, stay within sight of shore and tell a friend on land that you’re heading out. A beloved classic for anyone who likes to step off of paved roads and directly into nature, hiking North Lake Tahoe’s many trails is one of the best ways to experience the details of the region’s beauty up close. From expansive alpine groves to sweeping panoramic views found at Sierra summits, Tahoe offers hiking for every fitness level. Stock up on trail mix, fill up those water bottles and throw on a pair of sensible shoes; adventure awaits. Get up close and personal with Tahoe’s stunning crystal waters while toning your core and upper body by boarding a kayak. This classic water sport is easy to pick up, and fun for athletes of all ability levels. 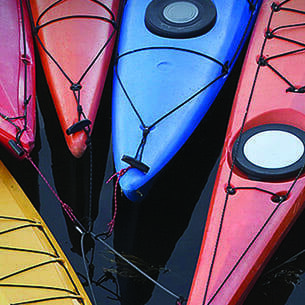 All you’ll need to get started is a kayak, a double bladed paddle and a nice body of water to zip across. Fortunately, at North Lake Tahoe, you’ll have no trouble finding any of these things, thanks to abundant kayak rental locations and the fact that Lake Tahoe is the largest alpine lake in North America. If a day of bites-and-sips based adventure is more your speed, Tahoe Brew Tours offer visitors the chance to taste a region-spanning flight of locally crafted beer. These all-inclusive experiences include transportation, appetizers and no shortage of Tahoe-brewed libations. Public and private trips are available for booking and as an added bonus: first rounds at each location are complimentary for tours after dark.